There is no easy way to deal with the loss of a loved one. Sadly, the pets who lose their owners know this feeling, too. Argentina-born Emiliano Sala was a Premier League soccer player who had signed a $19 million contact with Cardiff City, a new club record, on January 18, according to reporting by CNN. Three days later, his flight to Cardiff crashed over the English Channel. Sala was 28. Because the plane crashed into water, finding and identifying Sala’s body took a few weeks. In the meantime, his loved ones waited to hear for any sign of him . . . including his dog, Nala. 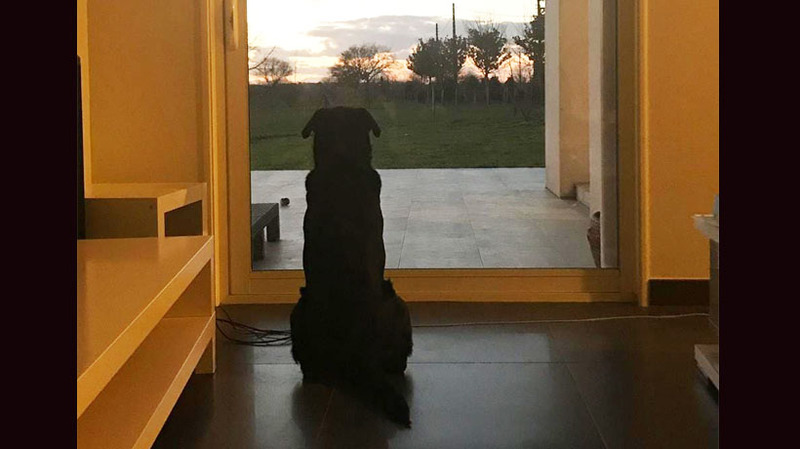 The Sun says Sala was living alone in France back in 2015 when he got Nala. Romina says she’ll look after her brother’s dog now, but Nala seems to still be waiting for Emiliano.